Easy to locate and park. Friendly helpful driver. 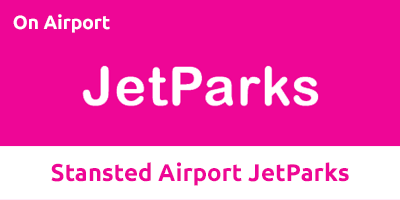 Located within the airport perimeter, Jetparks is around 15 minutes from the terminal. Shuttle buses operate every 15 minutes, making an ideal parking solution if you're looking for ease of access and convenience. Transfers run every 15 minutes between 04:00 and 22:00. Outside of these hours use the Long Stay transfer bus and ask to be dropped off at JetParks. There's no need to worry about your car while you're away; the car park has regular security patrols, 24-hour CCTV, floodlighting and has been awarded the Park Mark Safer Parking Award. There are bays reserved for Blue Badge holders. This car park is open 365 days a year, 24 hours a day. Exit at Junction 8 if you’re travelling south and Junction 8a if you’re travelling north. Following signs for the Long Stay car park, take the first exit at the next roundabout. Pass the Novotel on your left, and take the second exit straight ahead on the following roundabout. JetParks is located on the left. Drive up to the entrance barrier. Once the barrier has opened, enter the car park and find a space. Make your way to the transfer bus stop. If you experience any difficulties press the call button and a member of staff will assist you. Take the transfer bus back to the car park. Collect your car and then drive to the exit barrier - the barrier will rise.